Capture Leads and Building Potential List. Capture Leads And Build Potential Lists. As an Affiliate Marketer, capturing leads and building lists are the two most important tasks you'll need to perform right from the start. You'll want to direct users to products and or services, so when they buy, you get commission on them. Then it will be very sensible capturing leads, building lists, and managing lists' members. So you can send your list members to products, and retain their contact details for future offers. In this tutorial, you'll learn the real techniques on, capturing leads and building potential lists. What are Leads? [Sales Leads]. Sales Leads are simply, data of people who are searching for products, services, and or solutions online. A lead is usually the name and contact information of a person that will admit being on your list, either by opting-in your web form or using a different legal manner. Let's say you've created a website or a blog that attracts traffic continuously. How would you know who visits you and what they'll be searching for? Do you know, you can recruit your visitors as leads for your Marketing purposes? Do you know, these are the people you can easily send to an offer? Do you know, these people could become your potential customers? Do you know, leads can boost your business, recruiting more and generating massive sales? My friend, take this seriously and learn, capturing leads now, for here's where the revenue lives. How To Capture Or Generate Leads. The simplest and effective method to use, capturing leads quickly, is placing a web form on your website, or blog. You can try out Aweber Sign-Up Web Forms. It's risk free. The page to contain the web form must also contain an article about your niche or whatever your visitors will see interested. 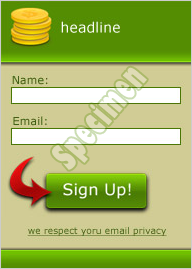 Place your web form where visitors will easily see it, so they'll be tempted to fill in their contact details. And hit the submit button, adding their data automatically into your list. Make sure to generate leads legally, than buying them. Simply, because every individual has the right to decide on who to allow storing their contact details. To capture leads effectively using a web form, you should promise your visitors a gift they can download, after filling in your web form, and submitting their details to your list. You can promise them a Video, eBook, an Instant access to a specific solution and so on. This is a method that usually triggers most visitors entering their contact details without hesitation. However, you must be truthful and give them something that's worthy. And make sure to alert them about their privacy guarantee, evoking the first step to trust. Don't forget, these are the people you'll be offering products, and services to in the future. And it's only through trust this can be fruitful. Using Aweber SignUp Web Forms. The Aweber Web Forms Gallery provides you with different types of Web form templates you can customize, creating awesome sign-up forms to fit your site pages. The Aweber Sign-Up Web Forms is easy to use, all you'll need to do is, selecting your choice of a form template, customize, copy, and paste it's code, into the HTML of your web pages, and you'll be done. Another good thing about the Aweber Sign-Up Web Forms is that, user details will be automatically added to your email list. And you can later, manage the list as desired. Building A Potential e-Marketing List. An e-Marketing list is simply a list of contact data, from people that had opt-in to your web form wanting to hear from you. A list mustn't always be a marketing list. However, it can be converted as desire. Use the Aweber email marketing software, and you'll build great lists you've never thought, could be possible in a short period. For further information, use the Free Test Drive form below. It's risk free. It's Time To Grasp Your Share, Act Now. It's your turn to start learning how email marketing software can get you more sales, too. Making Money With Your Captured Leads. T3Leads is a PPL [Pay Per Lead] Affiliate program you can easily make money with, using your captured leads. Give It A Try. How The T3Leads Affiliate Program Works. You'll simply sign-up at T3Leads, for your affiliate ID. Afterwards, you'll sign-In to the T3Leads back office, where you can generate codes to be used on your website or blog. The generated codes will always contain your affiliate ID, so T3Leads will be able to trace where leads are coming from, for you to get paid for your referrals. You'll simply send your lists members to the T3Leads sign-up page, using the generated codes which could be either a text link or a banner add link. And when someone sign-up, you'll get paid for each signed-up lead, they won't need to buy anything before you get commission. Just send leads to sign-up and that's it, you'll get paid. There are also T3Leads' advertisers products you can promote on your website, or blog to get paid. Sign-Up Now and start making money online today.